Evidently my work leads to faces emerging frequently. Not sure why that theme seems to pervade so much of my work but I see one in this piece too. I also see a bird with a long beak emerging in the middle of this piece. My starting point for this piece were some almost u-shaped curves that I spread around on the blank paper. Then just kept adding different aspects and arrived here! This a very intuitive. 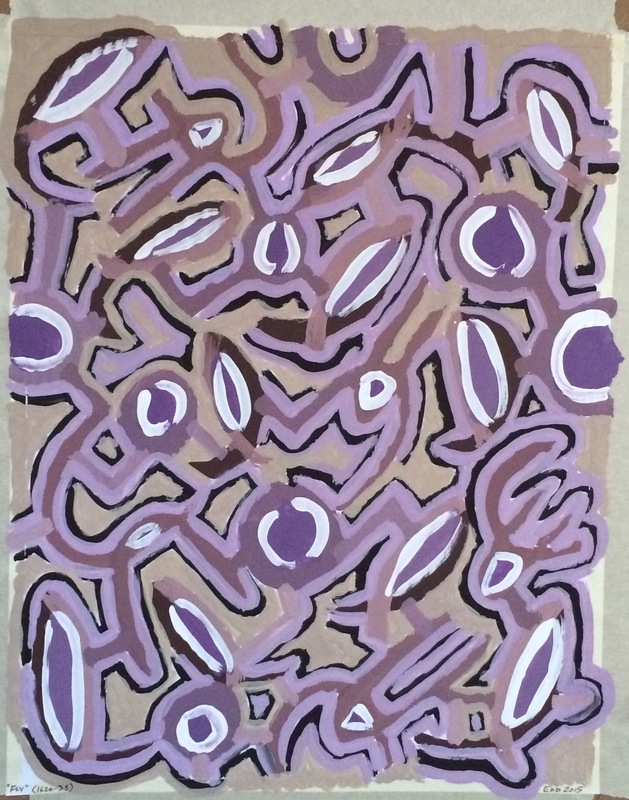 I like the colours as well….the violet/grey colour looks very warm against the pale brown. Didn’t see the hands! Good eye, thank you for the comment.